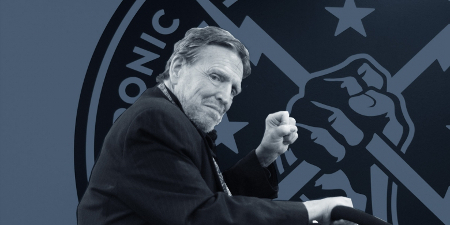 Today we pay tribute to the late John Perry Barlow, lyricist for the Grateful Dead, co-founder of the Electronic Frontier Foundation, and an important leader in the struggle to keep the Internet free. In addition to John Perry’s remarks, we will also hear John Gilmore, another of the co-founders of EFF.org. One of the most important essays written by Barlow is his Declaration of the Independence of Cyberspace, and at the end of this podcast you will hear John Perry Barlow reading that declaration himself. 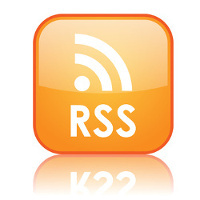 Posted in Cory Doctorow, Creativity, Culture, Education, Future, John Gilmore, John Perry Barlow, Science & Technology. Surprised the name John Perry Barlow never caught my radar before given his activity, influence and notoriety in circles I’ve increasingly become fascinated with in recent years, and because I’ve been a moderate but enthusiastic Deadhead since mid-90’s. John Gilmore raised an intruiging subject at 1:32:00 of this podcast. He references a book by David Brin (The Transparent Society) in which it’s proposed recorded camera surveillance databases of public places should be put up (online) for free public access. This had been an idea of mine I’d never heard suggested elsewhere, but one I presumed someone else must have thought of. Despite likely wanting to object to this, present authorities might be hard-pressed to reasonably do so because one purpose they purport surveillance cams to have is that of ensuring public safety by constantly reminding everyone they’re being watched and recorded. Arguably then, this could be achieved to even greater effect if everyone presumed everyone else on the planet could be watching them at any given moment – in real time or on recorded database. Objecting on grounds open access could be used for nefarious purposes such as planning terrorist attacks could be neutralised by everyone’s use of the database being automatically archived, along with further full public access being open to these usage records as well. Ironically (or perhaps, not so), the more open to everyone it all is, the more benign, less threatening it all thereby becomes in many ways. It’s only when it’s known (or presumed) SOME have access while others do not that fear, power, oppression, and similar threats to human community, possibility, and even survival arise. Maybe the future is calling us to claim the security cam infrastructure in exactly this way – as the internet has so largely come into the hands of “the common man” as our great hope and possibility. The famous chant of the 1960’s “the whole world’s watching!…the whole world’s watching!” may take on grander meaning than anyone could ever have conceived. Our children’s children’s children may be able to see us walking the streets, riding the bus today by opening centuries old databases available to them in future. How will they judge us by what they see?